I grew up listening and loving Southern Gospel Music, and the first records I remember ever listening to were those by the Happy Goodman Family, Inspirations, Hemphills, Sego Brothers & Naomi, Oak Ridge Boys, Dixie Echoes, Wendy Bagwell & The Sunliters, Thrasher Brothers, Florida Boys, Speers, Rambos and Kingsmen. It wasn't until a bit later in my growing up years that I came to love the music of the Statesmen, Blackwood Brothers, Hinsons, Greenes, Cathedrals, JD Sumner & The Stamps, Imperials, Weatherfords, Gold City Quartet, McKameys and others. When I was 19 years old, I went to my very first Grand Ole Gospel Reunion in 1991, and it was there that I discovered the wonderful world of record collecting, and thus I embarked upon this fantastic and sometimes expensive journey of collecting records; and through this love I came to appreciate and become a fan of such groups as the Downings, Lanny Wolfe Trio, Couriers Quartet, Goss Brothers, Bill Gaither Trio, LeFevres, Dallas Holm and Prophets Quartet. One group in particular that I came across and fell in love with was a group called the Orrells from Detroit, Michigan, and from the very first time I heard their music I was hooked! 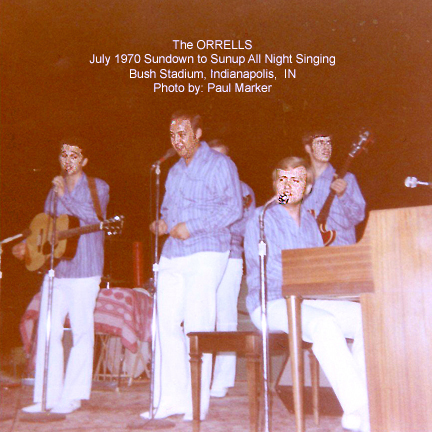 Back in the early 1970s, the Orrells were an immensely popular male trio consisting of Larry Orrell (son of famed concert promoter Lloyd Orrell), Gordon Jenson (a wonderful young songwriter) and Wayne Hilton. 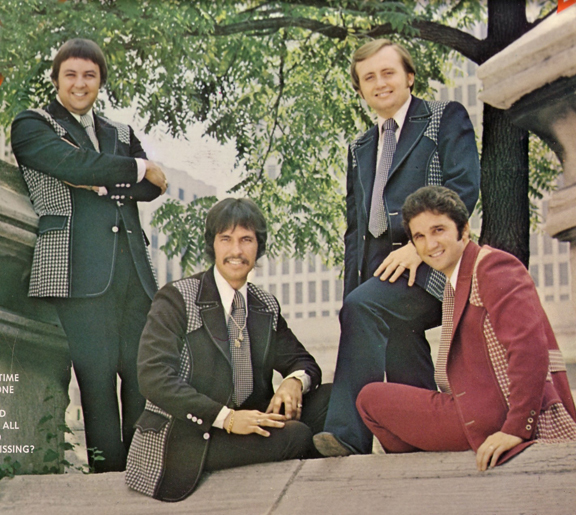 The group became known for introducing some of Southern Gospel Music's most celebrated songs such as, "Redemption Draweth Nigh", "Tears Are A Language (God Understands)", "I Should Have Been Crucified", "Jesus Will Outshine Them All" and a host of others. 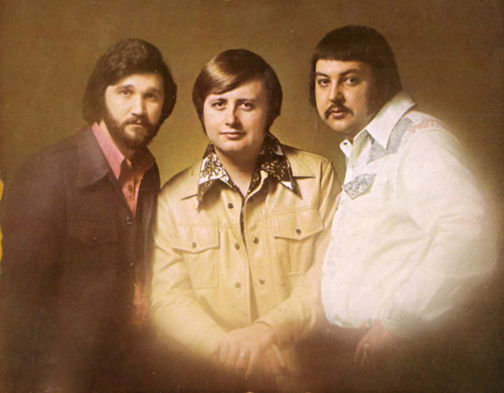 Boasting a unique and identifiable sound, which at times fused Southern Gospel with the popular sounds stemming from the Jesus Movement of the late 1960s and early 1970s, the group had a short but lasting impact on Southern Gospel Music. They had a smooth sound with Larry and Gordon switching out the lead and baritone parts and Wayne, a wonderful lyric tenor, taking the high part. With Jensen on piano, Wayne on Rhythm Guitar and a bass player named Mark Chadwell, the group made great music together. The Orrells were born out of a popular male quartet from the 1960s aptly called (are you ready for this?) the Orrell Quartet. Several well-known singers came from that group including Buddy Liles, who sang bass with the Florida Boys for over 25 years. 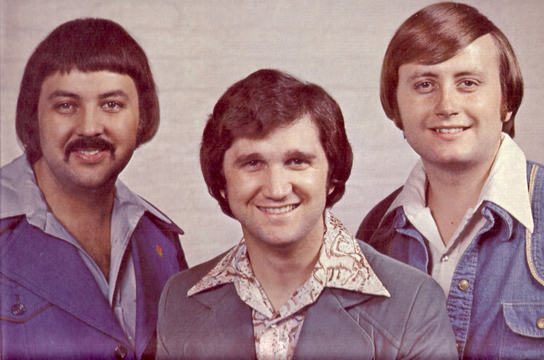 The Orrell Quartet reformed with Orrell, Jensen and Hilton around 1969 as a male trio and recorded about 4 albums before hooking up with Heartwarming Records in 1971. 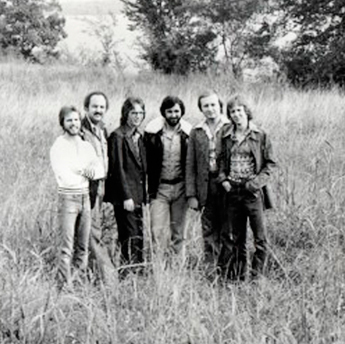 Their debut album on Heartwarming entitled, "Enough Of God's Love", brought much success with the inclusion of such memorable songs as "Redemption Draweth Nigh", "Sunrise", "There's Enough Of God's Love" and "Tears Are A Language", which were all written by the young Gordon Jensen. To my knowledge, the Orrells only did 4 albums for Heartwarming. The first 3 albums "Enough Of God's Love", "Live!" and "Forever Is A Long, Long Time" (A really, really great record, by the way) were released before the group "unofficially" retired in the early part of 1973. During their brief hiatus, Wayne and Larry both recorded solo albums, but the group eventually came back together in 1975 and recorded their fourth album for Heartwarming entitled, "Together Again". 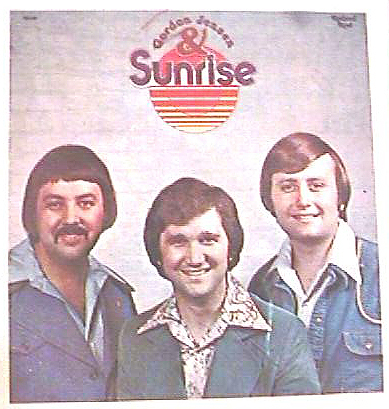 In 1976, though the singing personnel in the group remained the same, the Orrells went through a name change and became Gordon Jensen & Sunrise and recorded on their own independent label. They continued singing and recording under that name for 2 or 3 years and to my knowledge, only recorded 3 albums during that time. Eventually the group disbanded around 1978 or so and each member basically went in their own direction. Gordon Jensen carried on as a soloist, recording several solo albums throughout the 1980s and into 1990s and he continued writing great songs as well. Larry Orrell also recorded a few solo projects and eventually joined ranks in the 1990's with the short-lived group called Friends 4. (Which was an awesome and extremely underrated group.) Wayne Hilton became an executive for Heartwarming Records, producing some great music back in the 1980s with HeavenBound, Hemphills, Kingsmen and other groups associated with Heartwarming Records. 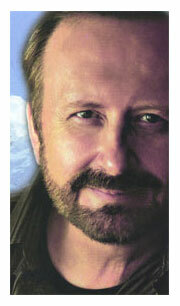 In fact, Hilton produced the Hemphills 1986 Dove Award winning album, "Excited". The Orrells did come back together, albeit very briefly, back in the mid 1980s. I don't recall them ever doing any sort of touring at all, but I do believe they did end up recording one album. As mentioned earlier, the man behind most of the Orrells great songs was Gordon Jensen, who was a songwriting machine back in the 1970s and early 1980s. Jensen wrote many songs that the top artists of the day ended up recording including the Downings, Inspirations, JD Sumner & The Stamps, The Galileans, Couriers, Jimmy Swaggart, Kingsmen, Oak Ridge Boys, Rusty Goodman, Nelons, Speers and Cathedrals. Even in recent years, his songs have found a home on recordings by Janet Paschal with "Written In Red", Greater Vision with their rendition of "Redemption Draweth Nigh", HisSong and Promise with "It's Still Real Today" and just this year, he had a chart song with the Hayes Family's version of his song "I'd Never Miss Heaven For The World" that he wrote back in the mid 1970s. Other artists in recent years who have recording Jensen's songs include Amy Lambert, Greenes, Down East Boys, Richard Simmons, Imperials, etc. Some of Jensen's other well known compositions include "Bigger Than Any Mountain", "It Made News In Heaven", "A Song Holy Angels Cannot Sing", "Before He Calls Again", "Precious Old Story Of Love", "God Has Not Changed", "The Coming Of The Lord", "I've Got My Heart Set On Heaven", "A Song To Sing At Midnight", "He's As Close As The Mention Of His Name" and a poignant song about abortion that was written in the late 1980s called, "Sometimes They Cry." One of his more obscure songs from the mid 1980s entitled, "Joy In The Journey" still remains one of my all time favorite Jensen songs as are "Jesus Will Outshine Them All" and "Redemption Draweth Nigh." As a side note, "Redemption Draweth Nigh" (which is arguably Jensen's most well known song) has gone beyond the confines of Southern Gospel and has crept over into the Black Gospel market with the late Ronald Winans (of Winans Brothers fame) recording the song on his final recording, "Family and Friends: A Celebration". The Orrells had an enormous and electrifying but yet very delicate sound. Their studio recordings had some pretty elaborate arrangements, complete with strings and brass, but their concerts were a bit more subdued musically, with just piano, bass and rhythm guitar for accompaniment. Vocally they were a powerhouse and could sing anyone off the platform with their powerful renditions of "How Great Thou Art", "Jesus Will Outshine them All", "Revival Is Here" or their signature song, "Redemption Draweth Nigh". They could create exciting moments with their upbeat numbers like "Let The River Flow", "The Christian Way", "Will You Be Among The Missing" or "We're Together Again" and on their more soothing numbers like "Sunrise", "He's Changing Me", "Forever Is A Long, Long Time" and "I'm So Unworthy" they really showed how they could capture a song and its quiet emotion and hold an audience right in the palm of their hand. 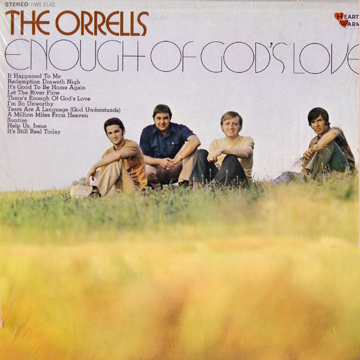 It's a shame that the Orrells' career as a group was an on again, off again affair, because I really feel that if they had kept things going, their name would have been breathed in the same breath as the Kingsmen, Happy Goodman Family, Rambos, Inspirations and other groups who were trailblazers during the 1970s. But because of their extremely segmented musical career as a group, a lot of people really missed out on a great thing and many people have either forgotten who the Orrells were, or don't even remember them. I've always said that I was born during the wrong time period because since I was born in 1972, I feel I missed out on some great stuff during the 1960s and 1970s. I missed seeing some wonderful groups, the Orrells being one of them. History has already proven the excellent contributions they made to Southern Gospel Music, and I am glad I have this forum to remember them, the magic they created and the great music that they made. Copyright ONE STORY MUSIC 1979-2011 All rights reserved.